Most caravans come equipped with everything you could ask for when going camping. This includes all sorts of items, from the most essential to the more trivial. But if you just bought your caravan or are going camping with it for the first time, there are a few additional items that long-time caravan owners agree can be a vital necessity or at least a useful accessory. If you are transporting your caravan for the first time, it is likely that you will run into the following problem: you may pack up everything like you should, connect all of the brake wires and car attachments properly, but after you get into your seat and attempt to back out of your driveway, you may realize that you can’t see your driveway anymore. That’s because many first-timers often make the mistake of forgetting how a caravan obstructs the visibility of your mirrors. Well, that’s exactly why the most essential item you should always have in your caravan or your car are the side mirror extensions for towing. Another item, or should I say items you should always pack when going camping in your motor-home are some foldable chairs and maybe a table. While these may not seem all that vital, they serve an unexpectedly important role, namely they let you sit outside of the caravan. This means you won’t have to spend the entirety of your holiday sitting in a closed space until you get bored or develop claustrophobia, but can instead spend the majority of your time outside taking in all of the beauty of nature. You could also bring along a small grill and propane cooker and both prepare and eat your meals outside, saving you from having to stink up your caravan. Finally, everyone should consider if they will need to take an inverter with them. The inverter’s role is to turn DC (direct current) into AC (alternating current). It is extremely useful if you take along a few electronic devices like your phone or laptop with you and need to charge them by converting the batteries power output into one that they can use. 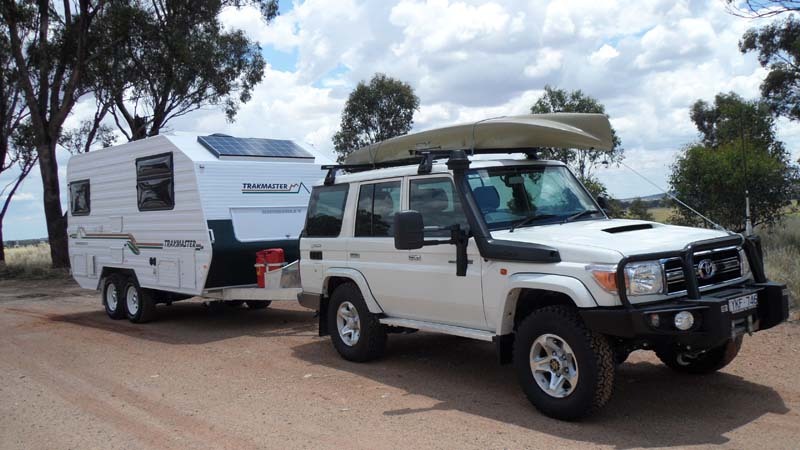 However, if you are at a camp site with an accessible power connection, or your caravan already has every device that you might need, or if you simply didn’t bring along any devices, then the role of the inverter is negligible. Whether it’s the essential side mirror extensions for towing or the more optional inverter, all of these items can help improve your caravan holiday experience in one way or another.